Get on board the latency train as the Datanauts chug down bandwidth-restricted tracks, heading for the land of vMotion between data centers. After all, never changing an application IP address fixes a whole bunch of problems for our apps. Thus, the land of vMotion between data centers is the land of promise, the land that many of us are heading to. But is the ability to move an application between DCs a wonderful thing? Yes, it’s convenient and seems like a good thing from the layer 8 point of view. But what evil lurks to make vMotion between data centers work? Chris Wahl and Ethan Banks explore the network and application issues that can undo moving virtual workloads from one data center to another, and talk about ways to enable inter-data center vMotion while minimizing the risks of blowing up both. Join the Packet Pushers at Interop Las Vegas for the Future of Networking Summit, May 2- 3. It’s a deep dive into the technologies and trends that will affect the next five to ten years of networking. Use the code PPUSHERS in the “Marketing Code” field when you register and get 25% off 5-Day, 3-Day, and 2-Day conference passes. You know GNS3 for their network lab software. Now they’ve started a training academy, including the “Practical SDN and OpenFlow Fundamentals” course from instructor and CCIE emeritus David Bombal, and Packet Pushers listeners can get 50% off! Bombal demonstrates SDN and Openflow in detail, covering everything from the basic definition of SDN to capturing messages with Wireshark and even building your own SDN switch with a Raspberry Pi. 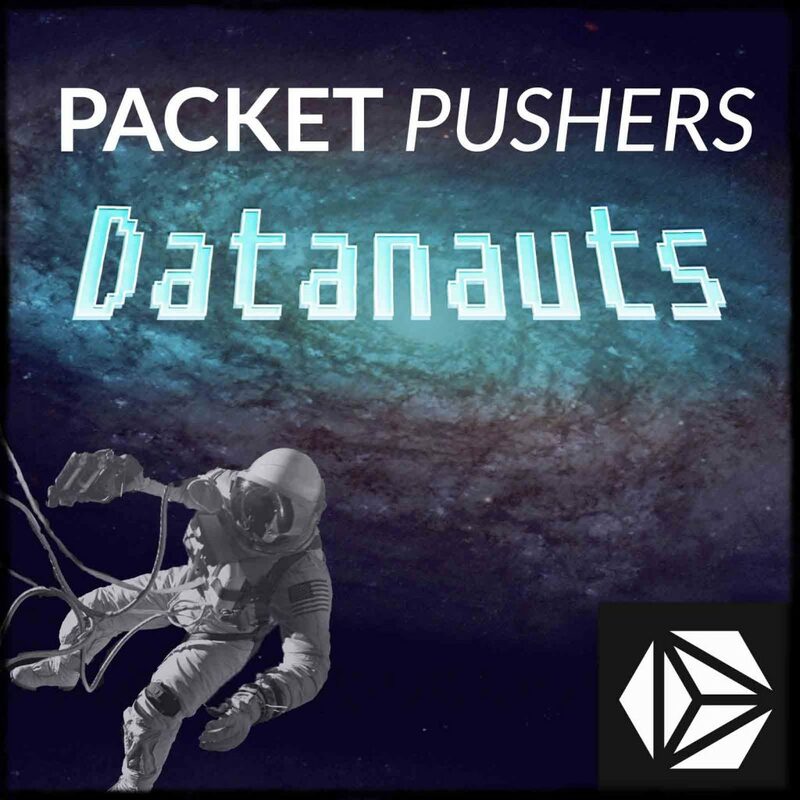 The first 50 Datanauts listeners to register receive the course for 50% off. To get your discount go to tinyurl.com/gns3sdn OR go to academy.gns3.com and use the coupon PACKETPUSHERS (all one word). Where does the default-gateway live? In the local DC? Or remote? And that’s just L3 considerations. What about L2? How is spanning tree handled between DCs? How is storage being synced between sites? How do you abstract the current site of a workload so that the compute knows where it’s running? Worst-case scenarios: what happens if in-flight sessions are interrupted? If your multihomed data center admins absolutely require some type of vmotion between sites to allow for disaster recovery, what would be the next best method besides l2 bridging configs? We are currently using two private networks with VPN tunnel, front ended with two sets of f5’s. We are currently going to do short TTL for DNS and using manual DNS manipulation or using DNS round Robin. We would like to use f5 gtm, but at this time cost is starting to become a factor. I was a bit surprised Vmware NSX and VXLAN/NVGRE tunnels was not mentioned in this espisode of datanauts.. but that may be because it’s another can of worms 🙂 I would never want to extend my L2 domain over the WAN, with that said, part of our disaster recovery failover requires some remapping of DNS entries to different IP addresses, shortening the TTL for critical services. We use a combination of VEEAM (which is able to run scripts/test failover scenarios to automatically change IP/DNS/GW) and Hyper-V. Yes, as was mentioned in the show, since SQL 2005, async and synchronous replication has been available at the database application level.. we utilize this for our critical SQL server DB’s over a 100M pipe.. but since we are using synchronous replication, any commits must be replicated and verified on the other replica DB.. which may slow things down a bit.. but it works wonderfully for us. The same type of app level replication exists for Exchange Server as well.. but we simply replicate it using VEEAM instead. Even when running a pure L3 underlay, with a L2 overlay (VXLAN/NVGRE), you still need to worry about your controllers (control plane/policy enforcement – not for traffic), which site to place them, redundancy, etc. I do know that many thought it would be a great idea to even “stretch” an overlay across the WAN, but you still have to worry about control plane traffic on that overlay.. even if your underlay is a solid/stable L3 network. I am not sure how NSX deals with it now, but as Ivan from blog.ipspace.net had mentioned, the early releases of NSX used multicast to transport broadcast/unicast traffic over VXLAN. I do give credit to Microsoft’s Hyper-V virtual networking, as it does not rely on any flooding or multicast (http://blog.ipspace.net/2012/12/hyper-v-network-virtualization-wnvnvgre.html). Also remember that even Amazon, although not your typical enterprise, scales very well because they refuse to allow L2 adjacency or any type of live migration/vmotion.. they leave it up to the user to build around their availability zones/regions.. more L2=more kludges, cost, complexity in my opinion… keep those L2 domains as small as possible.. maybe constrained to a rack with a couple of ToR’s. If you want to expand the L2 domain across more racks or within a DC, use an overlay. Mario, true, we didn’t get into L2 extension over L3 via VXLAN, etc. Part of that’s time. We keep the show to ~45 minutes with rare exception, which naturally limits the rabbit holes we go down. That said, I, personally, was much more focused on L2 over a purpose-built DCI protocol, which is why I brought up OTV. OTV puts guards in place to reduce tromboning and keep failure domains separate, etc. It can’t fix everything, but it’s aimed directly at the specific problem of making L2 extension between geographically diverse DCs “safe.” I use “safe” with caution here. I know that some multi-DC designs use FabricPath or VXLAN (NVGRE, etc.) as DCI, and for low latency, high bandwidth connections with sufficient physical redundancy (i.e. the DCs are very close together), maybe I have fewer reservations about that design. Maybe. But I see those designs as a sort of 802.1q evolved — something you do when you’re really treating the facilities as one big DC, and not separate DCs. And really, these are things I would do WITHIN a SINGLE DC, as opposed to L2 extension between DCs. Which really goes back to the heart of my argument in this show. L2 extension, at its root, is frequently a network design kludge accommodating applications or virtualization designs that don’t deal well with changing IPs or in-flight sessions showing up at new hosts. While maybe “that’s just the way it is,” I’m hopeful a show like this is a jumping off point for IT teams to talk through other redundancy/resiliency options that accomplish the business’ availability goals while keeping the DCs as independent of one another as possible. Because silo-busting. On NSX and VXLAN control plane traffic, I’m not sure if later versions of NSX have adopted (or at least made optional) a unicast model or not. I recall NSX has the ability to pre-populate endpoints in vswitches (since, hey, they know where all of them live). But don’t recall where the multicast VXLAN encap component ended up. We (Packet Pushers) plan to record with the NSX team multiple times in the coming months. That’s a conversation worth having. Maybe there’s a show there. NSX design in a multi DC topology – controller redundancy, managing control-plane traffic, etc. Hello Ethan, thank-you for your thoughts – I would really love to hear more about VXLAN/NSX, especially on the design and best practice side of things. For instance basic POD design options for a L3 BGP fabric underlay with VXLAN overlay on top. It just seems that things are slowly moving away from classical ethernet topology over to spin/leaf clos topology. very interesting podcast, lots of things to learn from it, thanks a lot !!! With regards to NSX, I was wondering how stretching VXLAN is different to stretching VLAN with regards to shared fate and issues like broadcast storms ?